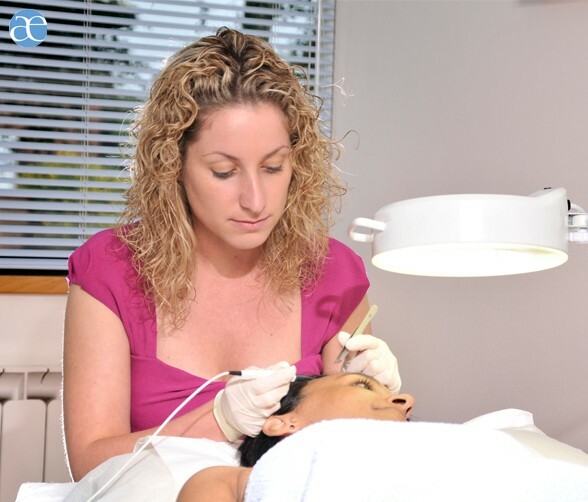 Electro Surgery is used to remove common skin growths and lumps and bumps on the face and body. The procedure is relatively quick to perform and leaves minimal scarring. Skin tags are skin coloured tissue that ‘hang off’ the skin and are commonly found on the neck, armpits, groin and under the bust-line. Skin tags have a blood supply and can grow quite large if left to develop. They are not dangerous but can be unsightly and uncomfortable if they are in areas of friction. Warts can be very unsightly and it is possible to spread them to other areas of the body eg. biting them. They can be difficult to clear in a compromised immune system and are often more persistent in older people. Milia are also referred to as milk spots and are often found on the face, between cheek bone and eye area. They are a build up of sebum which forms a ‘plug’ in the skin. Milia lie very superficially under the surface of the skin. Moles occur when cells in the skin grow in a cluster instead of being spread out throughout the skin. Moles occur naturally. Some people are born with them while other moles can just appear throughout life. Moles can be increased by excess sun exposure. Genetics also have a contributing factor to moles. Normal moles are not dangerous. However, they can change into malignant melanomas which are very dangerous. Moles you should be aware of are those that look different to existing moles. The changes you should be aware of are colour, height, size, shape, bleeding, oozing, itchiness or if they appear scaly or tender to the touch. Always consult your GP if you have any concerns about a mole on your face or body. For larger and more complex lesions, a surgical excision service is also available.